Actor speaks passionately about the charities he supports and shares a touching moment with a member of his audience. Rarely one to mince words - either in character as Captain Jean-Luc Picard on "Star Trek: The Next Generation" or in real life while giving interviews - actor Patrick Stewart recently spoke candidly and publicly about the domestic violence he encountered in his childhood home, reports Today.com. It was during the question and answer portion of his appearance at Comicpalooza in Texas over the Memorial Day weekend when Lemon Sweetie blogger Heather Skye raised the subject of a speech Stewart had previously given at an Amnesty International event where he discussed domestic violence. Skye went on to reveal to the British-born actor that she had endured similar circumstances. Though Stewart had previously spoken of his upbringing with an abusive father in a poor household in 1940s England, the prompting from Skye lead him to further discuss the charities he works with and then to reveal personal details of some of what had transpired so many decades ago. "The work that I do in campaigns about violence towards women, particularly domestic violence, grew out of my own childhood experience," he said. Visibly moved and hugging himself with his own arms, Stewart talked about how his World War II veteran father suffered from what was then called shellshock (post-traumatic stress disorder, today) and the physical abuse his father enacted on his mother. "As a child, I heard in my home doctors and ambulance men say, 'Mrs. 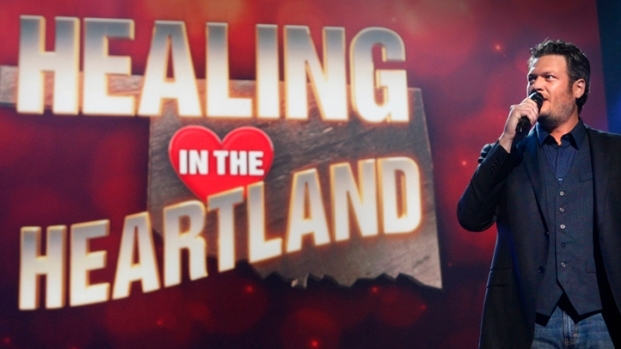 Stewart, you must have done something to provoke him,'" Stewart said to Skye and the audience. "'Mrs. Stewart, it takes two to make an argument.' Wrong! WRONG! My mother did nothing to provoke that, and even if she had, violence is never ever a choice that a man should make. Ever!" Following a standing ovation from those assembled, Stewart crossed to Skye and embraced her. On her blog Skye wrote that he told her "You never have to go through that again, you’re safe now." 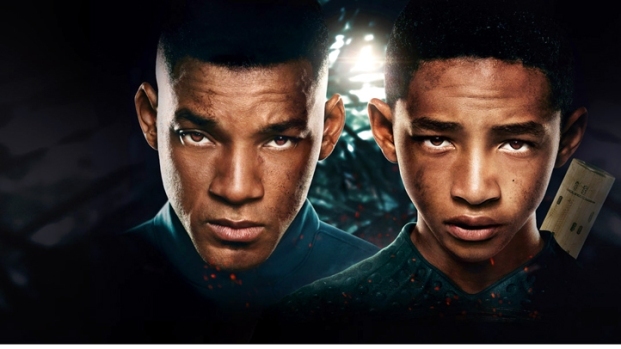 A look at the latest movies hitting the big screen this weekend including Will and Jayden Smith's "After Earth." NBC's Raphael Seth reports.